Who will stop the madness? Any sane repub leaders that might be left and rich repubs (not Koch brothers). Short of that, what can be done? This says it like it is. Bravo! Worse yet, he arguably unconstitutional actions by the House Republicans are actually threatening the health and well being of millions of Americans for political reasons. 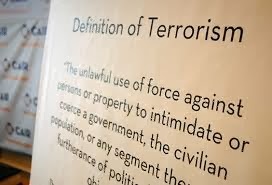 That means their terrorist actions can also be classified as Domestic Terrorism. It's hard to ignore the fact that the GOP and particularly the Tea Party have done more damage to the country than terrorism ever has. Worse than Al Qaeda and causing more damage to the Nation.